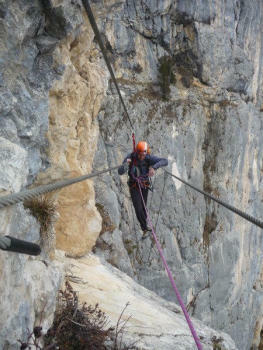 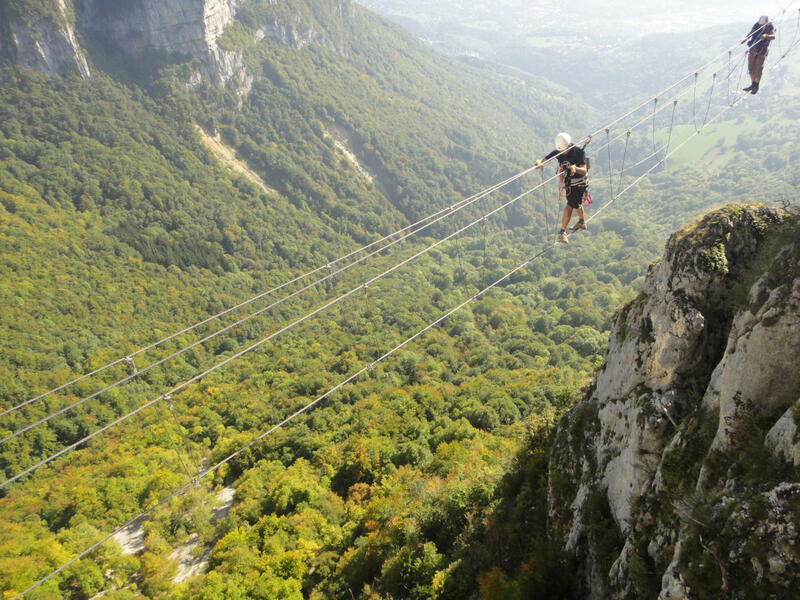 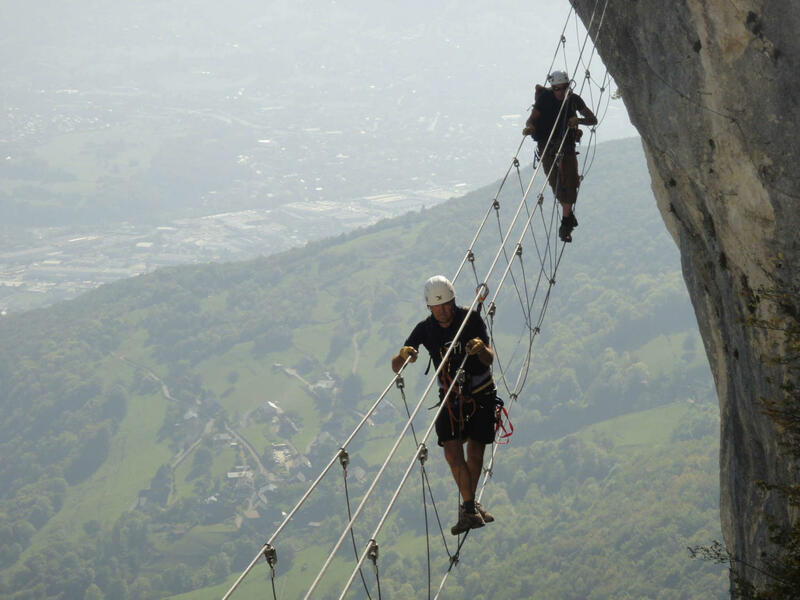 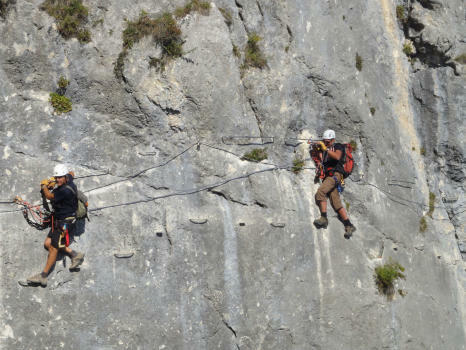 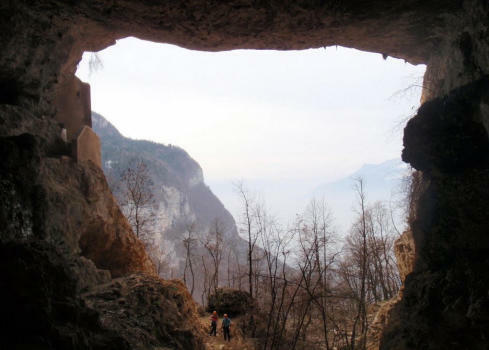 The "Jules Carret" via ferrata is only 20 minutes away from Chambery, in the heart of the Bauges regional parc. 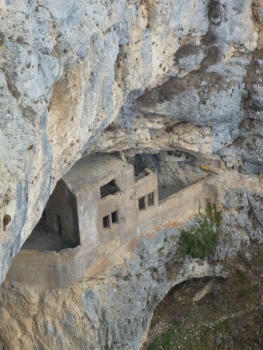 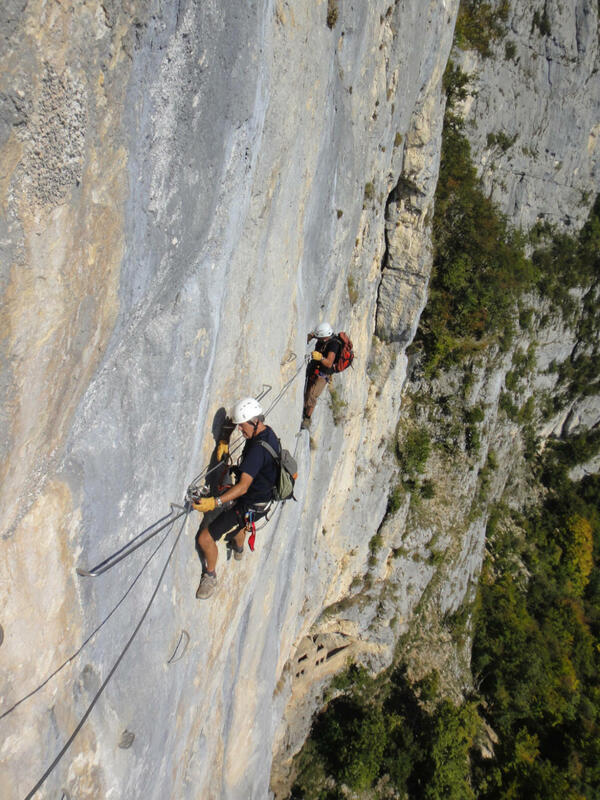 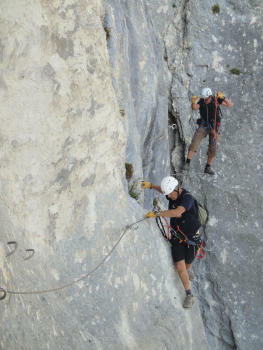 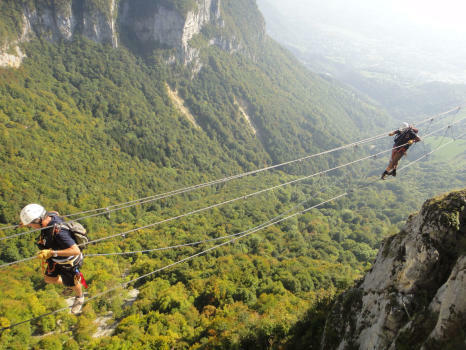 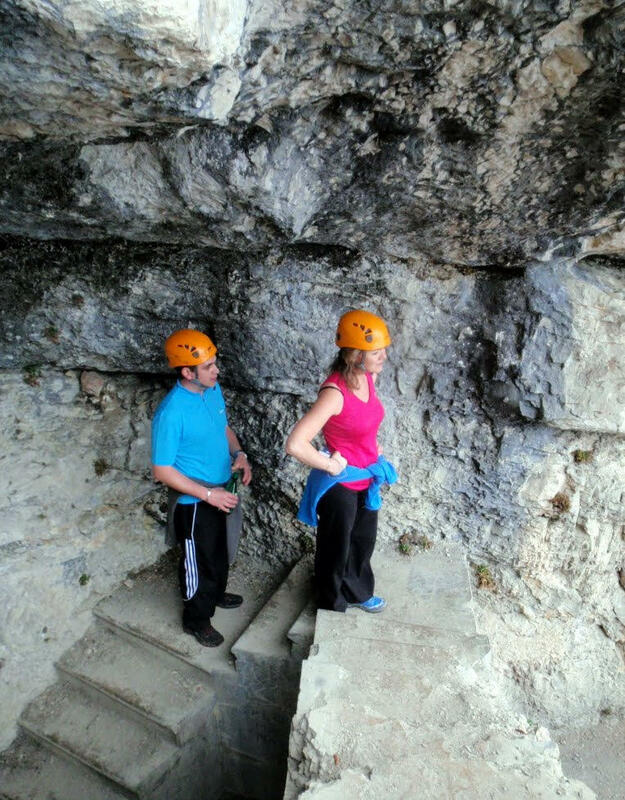 ​Its reputation makes it one of the most challenging in France, we recommend it only to experienced ferrata climbers. 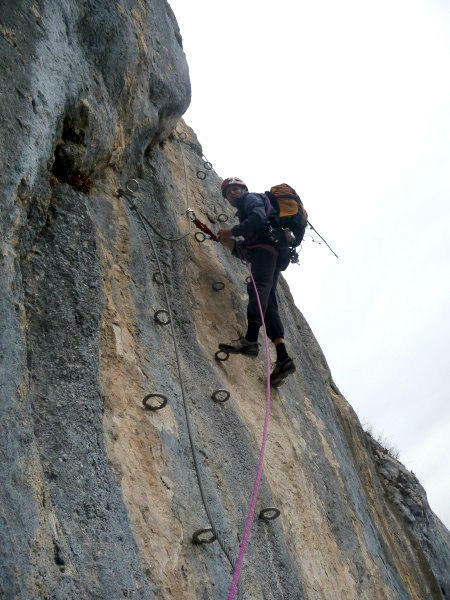 If it is not your case, you will have to be a well trained and brave sportsman ! 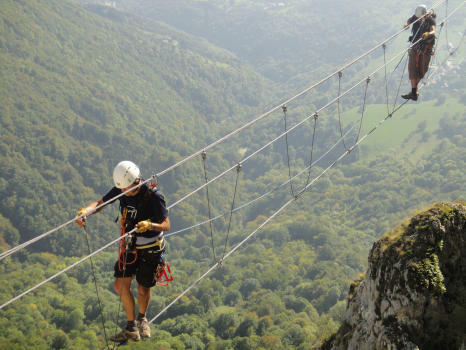 Some sections are short but quite physical, you'll love it if you like to pull on your arms ! En Saint Vincent de Mercuze: ¡Una nueva vía ferrata perfecta para una primera experiencia! 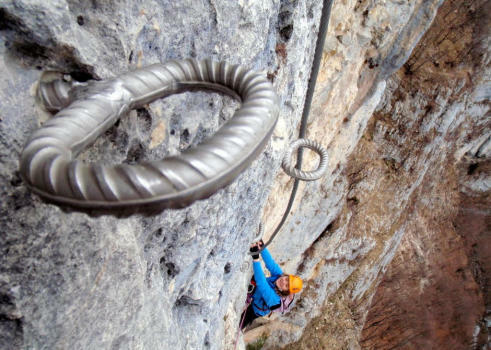 Subimos las cascadas del cañón del Alloix para una vía ferrata refrescante.